“Busy with Bugs is nothing short of amazing....This book is just plain solid science....[It] teaches you how to build seven different bug traps, talk to fireflies, collect a spider web, and raise a whole slew of bugs, such as grasshoppers, ladybugs, butterflies, fruit flies, ants, spiders, pill bugs — and more! 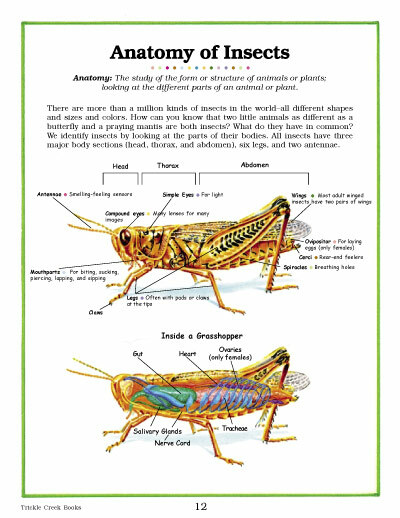 It explains the anatomy of insects with detailed diagrams. It talks about the classification of insects, such as the Honey Bee. 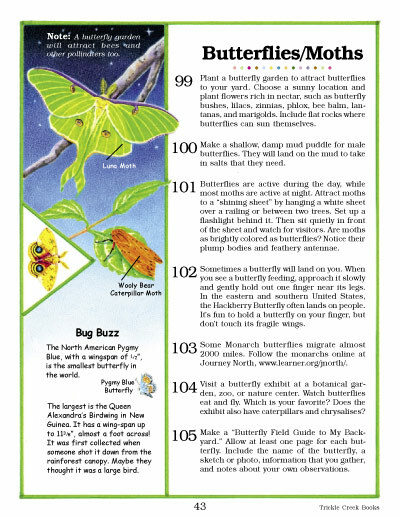 It teaches kids to be observant and ask questions....My favorite feature of this book was the "Keeping-Bugs Chart," which tells you what type of food, water, shelter, and other things needed to keep different types of insects. Now I can successfully keep a pill bug for my son to enoy!" "My son has already enjoyed looking through this vibrantly illustrated book! We've talked about some of the bugs he can identify and some that we've never seen before. I know this book will be used for years to come at our house! I would highly recommend this book to any child who is interested in learning about bugs, and teachers and homeschooling families who are studying about the fascinating world of bugs! It's refreshing to see Albert's dedication to educating children and adults alike about what we can do to help take care of our planet!" "I am in love with this book...a very interesting and informative and fun book!" "As soon as Busy with Bugs was taken out of the package, “Bug” immediately claimed it as his own! I know that first day we spent a good hour and a half looking over all the beautifully illustrated pictures and spot reading about some of his favorite insects...He absolutely loves this book and there is hardly a day that goes by that he does not sit down and take time out to look over the book and decide which activity he is going to do first...We completely recommend everyone to pick up a copy of Busy with Bugs. Not only will it make a fun family activity but it would also make a wonderful addition to any classroom!" “Busy with Bugs is packed cover to cover with activities that young people can do to learn more about the insects in their own backyards. From creating bug traps to planting a butterfly garden (or a caterpillar garden), collecting spider webs, creating a soil zoo, or even setting up a "Bug Olympics," this entertaining hands-on resource is ideal for stimulating a love of science and nature. An abundance of educational facts about the insect kingdom, a glossary, and an index round out this amazing and user-friendly interactive resource, especially ideal for teachers but also great for parents and babysitters interested in teaching young people more about the smaller worlds around them." So much more than a book about bugs, this amazing book is an adventure with bugs! 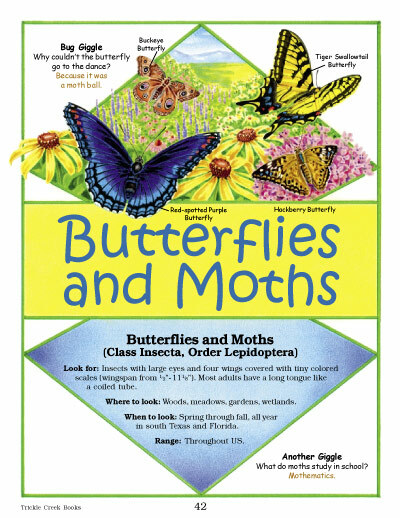 Readers are encouraged to get up close and personal with bugs with activities and experiments. Readers are given 6 suggestions for catching bugs, 4 ideas for keeping bugs as pets, and 5 basic approaches to observing bugs. All of these are shared with stunning artwork and easy-to-follow instructions. I would feel completely comfortable turning a third grader loose with this book. While easy, it is also informative and is equally fascinating for even my eighth-grade student. Students read about dragonflies, grass-hoppers, crickets, praying mantises, cicadas, leafhoppers and spittlebugs, ladybugs and aphids, fireflies, click beetles, whirligig beetles, caterpillars, butterflies and moths, ants, fruit flies, daddy longlegs, millipedes, pill bugs, and spiders. Readers discover where and when to look for these bugs; they investigate each kind of bug with activities and observations and learn interesting bug trivia along the way. I am very impressed with this book. It makes an incredible unit study and is jam-packed with educational helps, such as a chart, a glossary, field note forms, and an extensive resource list. The book encourages a love of science and never dumbs-down the material. I love that it expands a child's vocabulary without being overwhelming. Class and Order are given for each bug studied right alongside bug jokes and interesting tidbits. This hardback book with thick, glossy pages is written by an author who loves her bugs and invites readers to fall in love as well. A gorgeous book; hardcover, over 70 pages, as colorful as it gets and jam packed with learning, facts, and information! However, your kids will just see it as ‘outdoor fun’ and lots of great projects and ideas as they discover the life cycles and behaviors of critters right in their own backyards! Busy with Bugs would be a perfect foundational title for a Nature or Science Study for Homeschooling Families, a great summertime supplemental ‘fun’ activity guidebook, a great encouragement to start Nature Journaling and so much more! The book shows you how to build a potato trap for pill bugs, estimate air temps by just listening to a cricket’s chirp, ‘talk’ to dragonflies, collect a spider web, even plan a “Grass-hopper Field Day.” Children will love this title! "Busy with Bugs by Toni Albert is a fun book for kids who love bugs and adventures....My seven-year-old daughter was absolutely enthralled with this book. She wanted to go outside right away and start digging in the dirt looking for millipedes and pill bugs....The artwork in Busy with Bugs is amazingly detailed. The glossary at the end of the book is very thorough and informative. I absolutely adore books with this much detail and learning packed in. If you home school, have an inquisitive child or want to learn more about bugs yourself this would make a wonderful addition to your library." "This is a wonderful book, a great teaching tool for anyone homeschooling, or even school teachers. The book is just amazing. We loved the pictures, and the knowledge in the book is phenomenal. This is a MUST have in every home. I know we will go back many times for years to come and read up on a bug that we found or how to keep that Pill Bug alive...I’m totally mesmerized by this book." "I am a huge fan of this book. The boys (and me too!) learned a whole lot of interesting facts and we are armed with lots of fun and educational things to do together as a family. The illustrations (done by Margaret Brandt) are bright, interesting and accurate so we know just what kind of creepy critters we are looking at. Bravo for Busy with Bugs!"